Seriously, do you realise how busy Santa is on Christmas Eve? Help him out this year by adding these ‘From Santa’ tags to all of his deliveries! 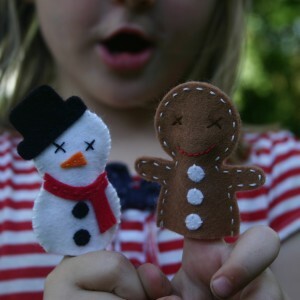 Add to the magic this Christmas by making a set of Christmas Friends finger puppets. This sewing kit includes everything you need (except scissors!) to make a jolly Santa, a Snowman, an Angel, a Gingerbread man and a Reindeer with a rather handy looking red nose! 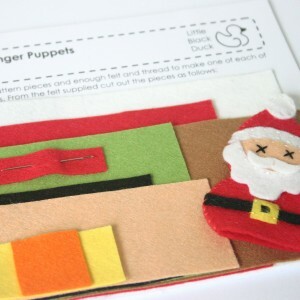 Add a little magic to Christmas by making a set of these Christmas Friends. This Christmas Friends pdf sewing pattern includes patterns for a Jolly Santa, a Snowman, a Gingerbread Man, an Angel and a Reindeer with a rather red nose!